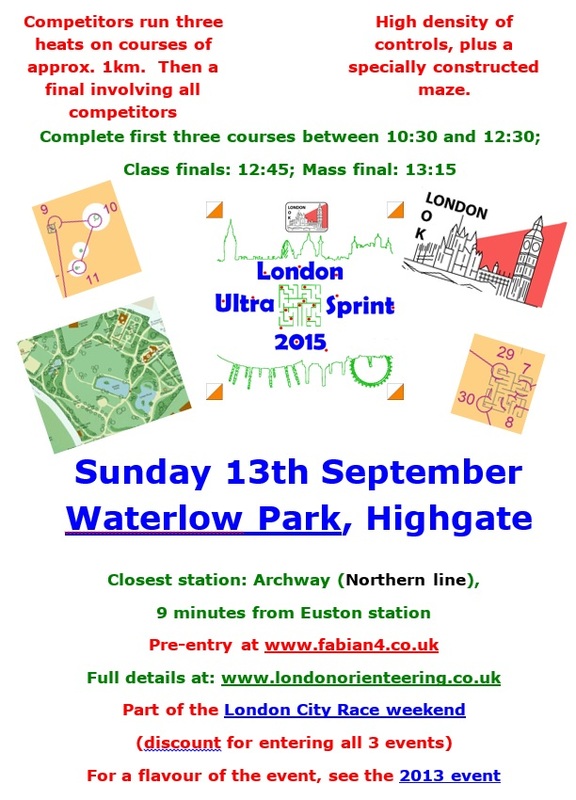 As part of the London Cityrace Weekend, LOK will be running another ultrasprint event on Sunday 13th September. The proposed venue is Waterlow Park in Highgate (North London). This will follow a similar format to the events held in 2011 and 2013. There will be three prologue courses of around 1km followed by a final of similar length. 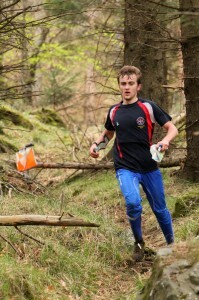 Expect intense, fast and furious orienteering within a compact and very visible park. The prologue courses will be from around 10:30 to 12:30 and the finals will be around 13:00. BOF Ranking points (corrected 4/10/15). Carried out in Regent’s Park in 2011, Victoria Park in 2013 , and Waterlow Park in 2015, competitors ran three heats on courses of approximately 1km with a high density of controls, including sections in a specially constructed maze, and there was a set of finals involving all competitors. A short video of the Waterlow Park event can be found here. Final details of the event here (updated 7th September). Entries are now closed. We regret that there is no entry on the day available. Any SI card amendments must be done in advance – please see final details above.